Introduction: Often science and theology, or science and religious faith, are presented as a conflict battle royal. Case in point is the New Atheist tribe of Richard Dawkins et al. This is in fact a caricature of the relationship, a superficial myth that has captured many a mind today. The famous anthropologist Yuval Noah Harari has a similar problem in his Sapiens: a brief history of mankind. In a blog post, he wrote off all religion as post-truth. He used the broadest brush, and the poorest scholarship, to condemn religion as wishful fantasy. This is frankly unacceptable and crass. People should be warned about such gross speculations and extreme statements. Academics with overreach should be held accountable. A common myth about modern science is what the philosopher Charles Taylor in A Secular Age calls “a subtraction story.” According to this widespread myth, scientific enlightenment was a triumph over religious belief. The relationship between the two is construed as dichotomous: either reason or faith; either science or theology. In short: more science, less religion. Science comes into culture and religion takes the exit. This myth has been roundly criticized as a false dichotomy. Consider, for example, Templeton prize winner Alvin Plantinga’s recent Where the Conflict Really Lies: Science, Religion, and Naturalism. More importantly, historians of science have pointed out that this false dichotomy is simply not true to how science emerged in the West. Far from being a detriment to scientific exploration, a number of scholars have pointed out that it was precisely Christian theological concepts–and especially those that emerged during the Protestant Reformation–that propelled empirical investigation of nature. So science wasn’t a way to lose one’s faith; it was Christian faith that compelled scientific exploration. We shouldn’t simply confuse the history of science with the rise of naturalism and scientism (David Bentley Hart, The Experience of God). For example, in his masterful book, The Bible, Protestantism, and the Rise of Natural Science (Cambridge University Press, 1998), Harrison deftly shows how it was a shift in biblical hermeneutics that gave rise to a very different way of “reading” nature that we now associate with the scientific method. In The Fall of Man and the Foundations of Science (Cambridge University Press, 2007), drawing on careful analysis of theological and scientific texts, Harrison argues that what motivated close empirical investigation of nature was a deep sense of how much how knowledge had been corrupted by the Fall. In both of these studies, Harrison goes beyond simple notions of a Creator to explore the specific theological doctrines that impacted the emergence of science in the West. Indeed, his work has influenced us here at The Colossian Forum and we encourage folks to acquaint themselves with Harrison’s work. And in some ways, we see our emphasis on the specific riches of the Christian theological tradition for engaging science as an extension of his work. 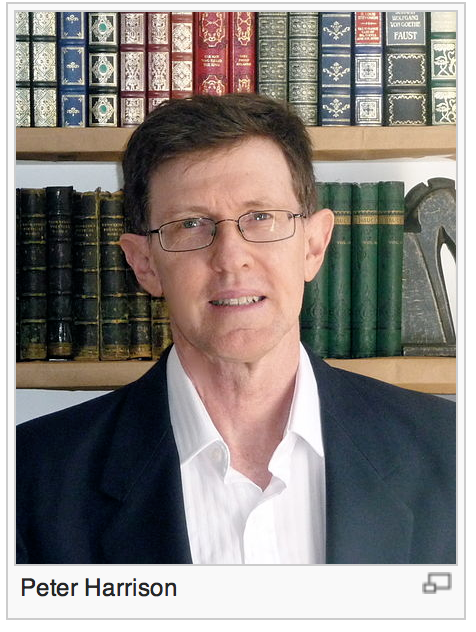 Peter Harrison holds a PhD from the University of Queensland and Master’s degrees from Yale and Oxford. He began his academic career at Bond University on Australia’s Gold Coast, where for a number of years he was Professor of History and Philosophy. In 2006 he was elected Andreas Idreos Professor of Science and Religion at the University of Oxford. 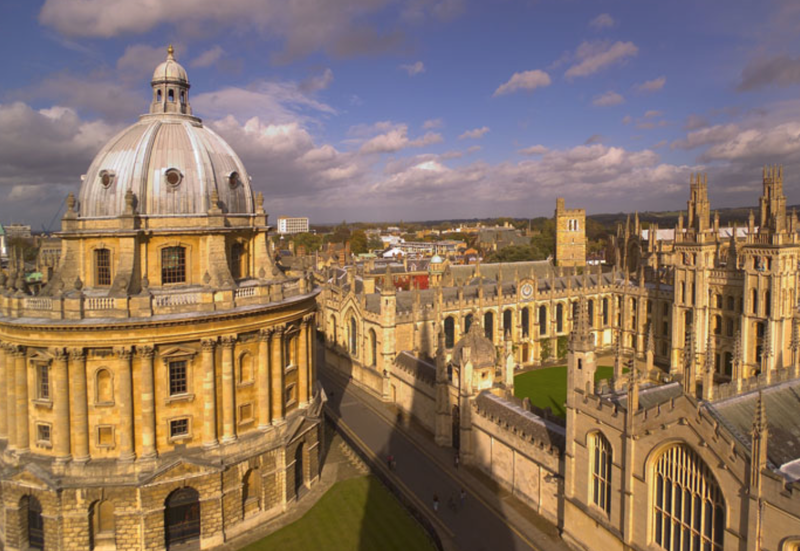 During his time at Oxford he was Director of the Ian Ramsey Centre and a Fellow of Harris Manchester College. In 2011 he assumed directorship of the Centre of the History of European Discourses at the University of Queensland. A Fellow of the Australian Academy of the Humanities, he was a recipient of a Centenary Medal in 2003. He was the 2011 Gifford Lecturer at the University of Edinburgh and is a Senior Research Fellow in the Ian Ramsey Centre at Oxford. In 2013 he received a DLitt from the University of Oxford. Harrison is best known for a number of influential writings on religion and the origins of modern science. He has argued that changing approaches to the interpretation of the bible had a significant impact on the development of modern science. He has also suggested that the biblical story of the Fall played a key role in the development of experimental science. His earlier work traces changing conceptions of religion in the West. Harrison contends that the idea of religions as sets of beliefs and practices emerged for the first time in the seventeenth century. Wrestling with Nature: From Omens to Science. Co-edited with Ronald Numbers and Michael Shank University of Chicago Press, 2011. ISBN ISBN 978-0-226-31783-0. The Cambridge Companion to Science and Religion. Cambridge University Press, 2010. ISBN 978-0-521-71251-4. The Fall of Man and the Foundations of Science. Cambridge University Press, 2007. ISBN 0-521-87559-5. The Bible, Protestantism, and the Rise of Natural Science. Cambridge University Press, 1998. ISBN 0-521-00096-3. ‘Religion’ and the religions in the English Enlightenment. Cambridge University Press, 1990. ISBN 0-521-89293-7.